No more fancy face scrubs or chemicals or moisturizers for me! I've gone back and forth a few times, but I feel my skin just looks better when I've got a regular habit of cleaning with oil rather than soap. And maybe that's because I'm actually exfoliating more, or opening my pores more, or maybe it's all just in my head. So if you aren't familiar with the oil cleansing method let me describe it for you. 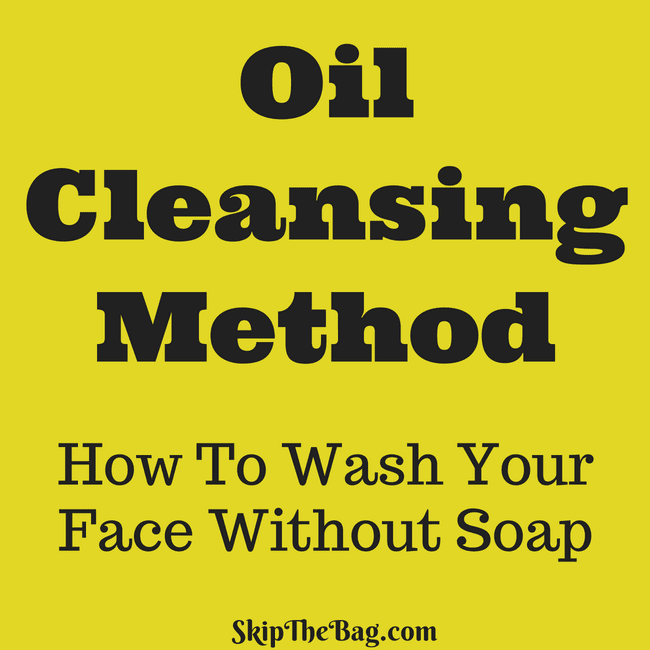 It is the process of using oil on your skin to remove the dirt and grime rather than soap. It falls under the theory of 'like dissolves like'. So how do I do it? I rub the oil on my face in circular motion making sure to get it all and pay special attention to my eyes to be gentle, but also rub them to remove mascara. Then I get a washcloth wet with hot water and lay it over my face to let it "steam". After a few seconds I use the washcloth to wipe off the oil, rinse the rag in hot water, flip it over and "steam" the other side. That's it! I then usually finish my moisturizing with coconut oil. 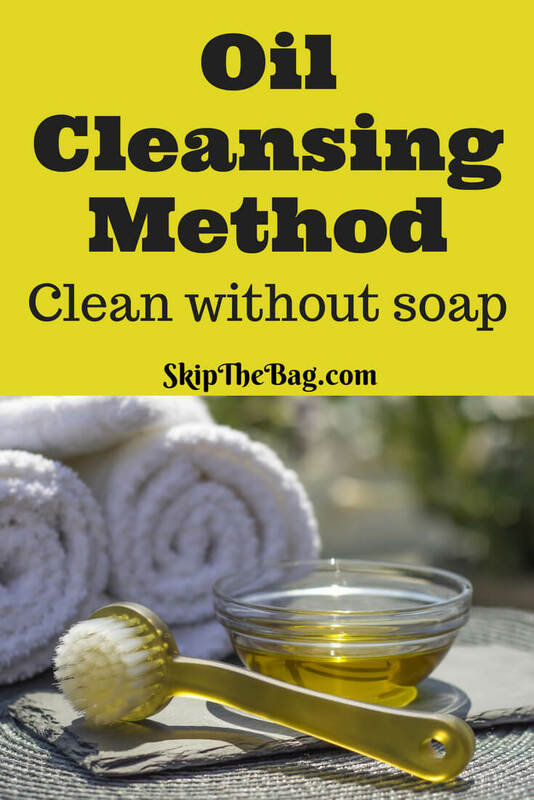 I've used a variety of oil in my oil cleansing method and I don't think I truly have a preference, but I'd encourage you if you don't like a given kind, try another. I first started with apricot oil and castor oil mixed 2 parts apricot to 1 part castor. The castor oil helps penetrate better but some said it can cause dryness so I used less of it. The apricot is supposed to have some benefits and that's why I chose it over some of the other oils, but I can't remember why. Well a few months ago I noticed the apricot oil, which I have also just by itself had gone rancid. Instead of buying another small plastic pump bottle full I decided to try some other options. I first tried coconut oil, because I have a big container of it. It worked fine, but my coconut oil has been pretty solid so I haven't wanted to mess with it. So I tried olive oil. And it seems to work just fine too. I also exfoliate using this method. I pored a couple tablespoons of oil into a container and mixed some salt into it. Instead of using the plain oil I used the salt mixture to scrub my face and then steam and wipe as usual. If the salt is too harsh you can also try a sugar instead. I've found my face does best with regular exfoliation, steaming to open the pores and moisturizing with coconut oil. It looks so much better than it used to. Looking for other ways to help improve your complexion? 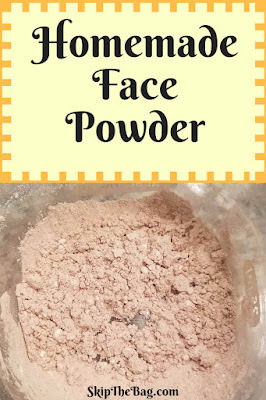 Have you tried making your own face powder? It's super easy and works great. I haven't tried it the way you do it, and I like the idea of adding some fine salt to exfoliate. I may give this another go. Thanks! I think half the reason why I feel like my skin is better is because of the regular exfoliation...and the other half is the extra moisture/less drying from the soap. I haven't added essential oils to it, but I'm sure you could as long as they were ok for the face. 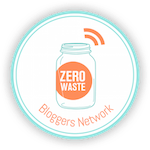 I didn't know that about fractionated coconut oil! Thanks! Hi Katy, Great post. I've been wanting to try this, but needed some instructions. Thanks! Do you ever start out by steaming your face before you put on the oil? I think the heat might open up your pores, and perhaps make the oil cleanse work even better. What are your thoughts? Thanks! I don't, but I guess I could. Part of what I use the oil for is to remove makeup, and I don't want to open that to my pores. But I guess I could apply the oil a second time. Thanks for the thought.